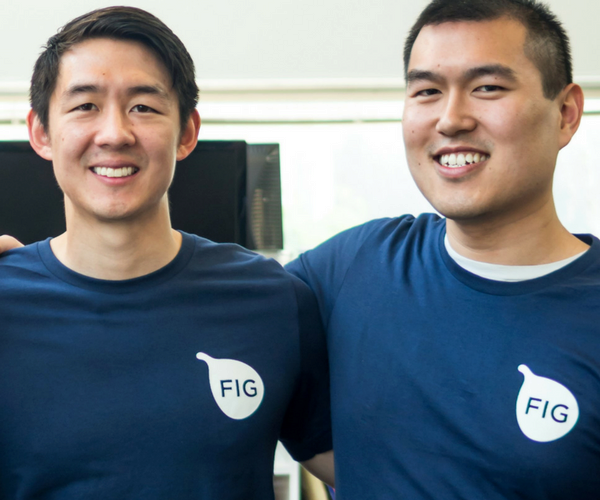 Fig Loans cofounder Jeff Zhou, WG’15 talks about how to turn bad credit into good credit–and how to find the right entrepreneurial opportunity–with Karl Ulrich, Wharton Vice Dean of Entrepreneurship & Innovation. There’s so much here to love. Basically, they help out people who messed up their credit in the past (think credit scores of around 520), so they don’t have access to credit cards or online lending—and who run into a financial emergency where they really need a few hundred dollars. Cofounder Jeff Zhou, WG’15 says that “the typical loan size is roughly between $300 to $500.” Recipient income levels are around $30,000-$90,000 per year, and they’re living paycheck to paycheck. For more about points two, three, and four, listen to the full half hour interview—especially if you’re wondering how to find the right opportunity for your own venture. Recently, Jeff Zhou, cofounder of Fig Loans, joined Karl Ulrich, Wharton’s Vice Dean of Entrepreneurship and Innovation, on his radio show, Launch Pad. Listen to hear Karl talk with Jeff about how they’re turning payday loans into a bridge to good credit for people who are “underbanked”–and for some crucial takeaways for entrepreneurs looking for the right opportunity for their next venture.